The 5th Annual Riders for Striders will take place on Saturday May 5. 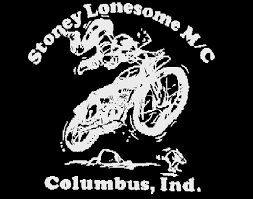 The adventure motorcycle ride will begin and end at Stoney Lonesome Motorcycle Club - Columbus, Indiana. Camping Friday and Saturday night at Stoney is available for $5 a night. Breakfast, lunch, and dinner will be available Saturday for a suggested donation. Online registration is now closed. Walk up registration is welcome, please bring cash for new registrations, T-shirts purchases, and meals. For ride details and times, visit www.ridersforstriders.org. For questions and GPX tracks for navigation, please email ridersforstriders@gmail.com. You can show your support by making an online contribution. 100% of your donation will support Peyton Manning Children's Hospital at St. Vincent.